Entries to the Kolsvlei 100KM MTB Challenge, which takes place at the Kolsvlei Trail Park outside Piketberg on the 30th of March 2019, are now open. Photo supplied by the Kolsvlei Trail Park. Challenge or chill, the Kolsvlei 100KM MTB Challenge, presented by Boland SUPERSPAR, offers both and everything in-between on the 30th of March 2019. Located just outside the town of Piketberg, the Kolsvlei Trail Park plays host to the event which offers far more than its imposing name suggests – with a trail run, fun run, fun ride, relay and fewer lap options along with the flagship 4 lap 100KM MTB Challenge. The Kolsvlei Trail Park is nestled in the rolling hills of the Swartland; which in March lie fallow awaiting the winter rains and the planting of wheat. The region is the breadbasket of the province and boasts a tight-knit farming community; all of whom are eager to share their beautiful home town and platteland hospitality with visitors from Cape Town and further afield. This hospitality echoes as the ethos of the event. Riders and runners are encouraged to bring the family along, to spectate or take part in one of the shorter distance events. The Boland SUPERSPAR, food stalls, a pop-up coffee shop, cash bar and complimentary tractor rides to spectator points will ensure those not participating share in the challenge experience of the riders too. 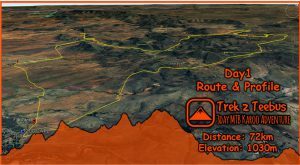 In the main event riders will seek to complete 4 laps of the 25km long Kolsvlei Trail Park route. Each lap features 388m of climbing, bringing the total for those who complete the full distance to a shade over 1 550m of elevation gain. While the ultimate aim is to complete all 4 laps, riders will be rewarded with 50km and 75km medals if they complete 2 or 3 of the 4 laps too. Alternatively the Kolsvlei 100KM MTB Challenge offers the opportunity of a 4 rider relay challenge. Each rider can thus dig deep and race a single 25km lap at full speed, rather than pacing their efforts to last the full 100km distance. While the serious mountain bike racing is underway the less competitive can take on a single lap fun ride too. For the trail runners a 10km route provides the opportunity for a trot through the farmlands. The course is perfect for competitive runners looking to challenge themselves to a fast run or less avid trail runners simply in search of a manageable route. Along with the trail run there is also a 5km fun run on offer. It makes use of farm roads so it is ideal for walkers, parents pushing strollers and the little ones on balance bikes. Competitive riders will be excited to note that Nexus 24 Segment Challenge for the King and Queen of the Mountain offers R4 000 in prize money at the Kolsvlei 100KM MTB Challenge. R1 000 cash prizes will be awarded to the men and women with the fastest times, on Strava, over the two Nexus 24 segments. These will be marked with Nexus 24 flags and highlighted in the race briefing. The segment challenge is open to all 100KM MTB Challenge and relay riders. Entries to the Kolsvlei 100KM MTB Challenge are open. 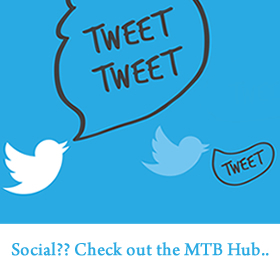 Mountain bikers and trail runners can enter online at www.entryninja.com or by clicking here. The first 100 mountain bike entrants and the first 40 trail run entrants will receive a goodie bag, provided by the event’s sponsors, which include the Boland SUPERSPAR. For more information please visit www.kolsvleimtb.co.za and like the event’s Facebook page, Kolsvlei, in the build-up to the race to stay updated on all the latest news.